Figure 68. Carrier engine clutch housing, removal and installation. (2) Install the clutch housing (par. 261). 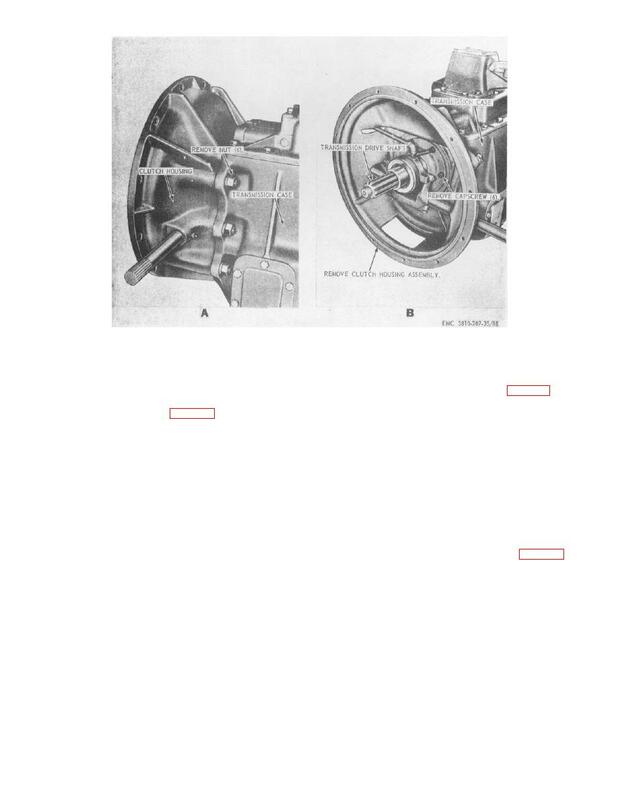 as illustrated on figure 70.
mechanism and flywheel ring gear. (2) Remove the clutch assembly (par. 263).